Wildfires are becoming all too common here in California and the loss of homes, businesses and sadly life are the harsh reality of what can happen when they begin. We at Sole Desire Shoes know firsthand what devastation a wildfire can bring to a community, to our employees and to our own homes which we along with so many others, lost last October 2017. We were lucky enough to have the support of our community, our vendors and our friends to help us navigate our new normal and now we feel it’s our responsibly to do the same for our fellow retailers who now face a similar reality in Paradise, CA. Celeste Baker of Bakers Birkenstock located in the Chico and Paradise area, suffered not only personal losses to both her home and her parent’s home but she also lost one of her two store locations in Paradise, CA. The sheer loss and devastation in Paradise is beyond comprehension and we really just want to do our part to help our fellow retailer and friends as they start to pick up the pieces and move forward towards rebuilding all that was lost. Celeste wants to be able to donate all funds to her employees, her community, as well the firefighters that are working tirelessly to end these massive wildfires. On behalf of Celeste, Sole Desire Shoes is collecting donations to help the wonderful people of Bakers Birkenstock and their employees move forward. 100% of ALL donations will be given to Celeste Baker so she can help so many others in her business and her community. 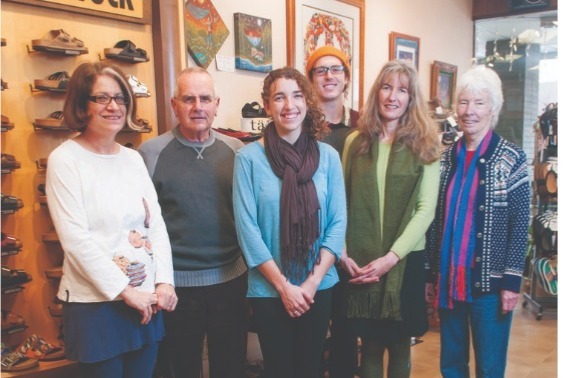 Please consider donating to this wonderful family and fellow small business shoe retailer, Celeste Baker of Bakers Birkenstock. Our hearts and prayers are with you all!